When he was just 17 years old, Nedžad Avdić was shot during the genocide in Srebrenica. He is one of just a small number of men and boys who survived the massacre, thanks to the help of another survivor. You can download the PDF version of Nedžad Avdic's life story here. Nedžad Avdić (pronounced Ned-jad Av-dich) was born in April 1978 in Zvornik, a city in eastern Bosnia and Herzegovina, to his parents Alija and Tima. He and his three younger sisters were brought up in a village in the neighbouring area to Srebrenica. Nedžad and his family were Bosniaks - Bosnian Muslims. The death in 1980 of Marshal Tito, who served as President of Yugoslavia after the Second World War, preceded the rise of nationalist parties and increased instability. A series of political upheavals in the early 1990s resulted in Yugoslavia breaking up into six nation states. When Bosnia declared independence in 1992, the region descended into war between Bosniaks, Bosnian Serbs, who were fighting for an independent breakaway state called Republika Srpska, and Bosnian Croats. Initially the hostilities seemed distant to Nedžad and his family. As he grew up, footage of the wars enveloping Slovenia and later Croatia would be shown on the news. But Nedžad’s parents, who were not politically active, did not think their family was in any particular danger. They could not imagine that they would ever have to flee their homes. As the conflict escalated, Serb forces began opening gunfire on Bosniak villages such as Nedžad’s. Although Serbs and Bosniaks continued to live side-by-side, there were increased feelings of tension and fear. Eventually, Nedžad’s school was closed down. Bosnian Serb soldiers who were patrolling the streets began threatening his family. In 1992, troops arrived at their home and, fearing for their lives, Nedžad fled the house with most of his family to hide in the woods. His father did not want to leave, and after the soldiers broke down the door to the family’s home, he was arrested and tortured. His father was released a few days later, but soon after that, the troops burnt the village to the ground. Escaping from their homes, Nedžad and his family sought refuge over the coming days in the woods and in neighbouring villages. However, as the conflict spread, Nedžad witnessed the same pattern of violence, arrests and murders over and over again. The family reached Srebrenica in March 1993. In July 1995, under the orders of General Ratko Mladic, the army of the Republika Srpska overran and occupied Srebrenica. They deported around 23,000 women and girls, selecting all the men and boys over the age of 12 for interrogation. As he was just 17 years old, Nedžad and his family feared for their lives. Word began to spread amongst Bosniaks that able-bodied men should take to the woods and form a column in order to reach Bosnian-controlled territory. Nedžad, his father and his uncle took the decision to join them. Nedžad had no choice but to surrender. They were driven to a school ground where they were forced to take off their clothes, while soldiers tied their hands behind their backs. Over the course of the night, prisoners were taken to a field, and ordered to line up in rows of five to be shot. Over three days, more than 8,000 Muslim men and boys were murdered in Srebrenica. Nedžad was shot three times: in his stomach, his right arm and his left foot. As he lay on the ground in unbearable pain, lines of people fell down around him and he heard the sound of bullets firing. He thought of his mother, and how she would never know what had happened to him. Around midnight, Nedžad noticed a man who was moving and asked if he was alive. He answered: ‘Yes, come to untie me.’ They managed to untie each other and flee the field. To stem the bleeding, the man ripped up his T-shirt and wrapped it around Nedžad’s wounds. After days of suffering, wandering through the woods and hiding in the streams, they managed to reach territory under the control of the Bosnian government, and Nedžad was taken to a war hospital to be treated. The next day he was taken to a hospital in Tuzla, and soon after, his mother and sisters were found in a refugee camp in the same city. His father and uncle did not survive. The road to recovery was long and difficult. Nedžad resumed his high school education, coming into school wearing bandages, but found it difficult to talk about what he had experienced and witnessed in Srebrenica. Today, Nedžad lives in Potočari, which lies 6 km north-west of Srebrenica. The town is within the Republika Srpska, which is now an autonomous region of Bosnia with a majority Serb population. He lives with his wife, Elvisa, and daughters, Nadza, Dzejlana and Umihana. 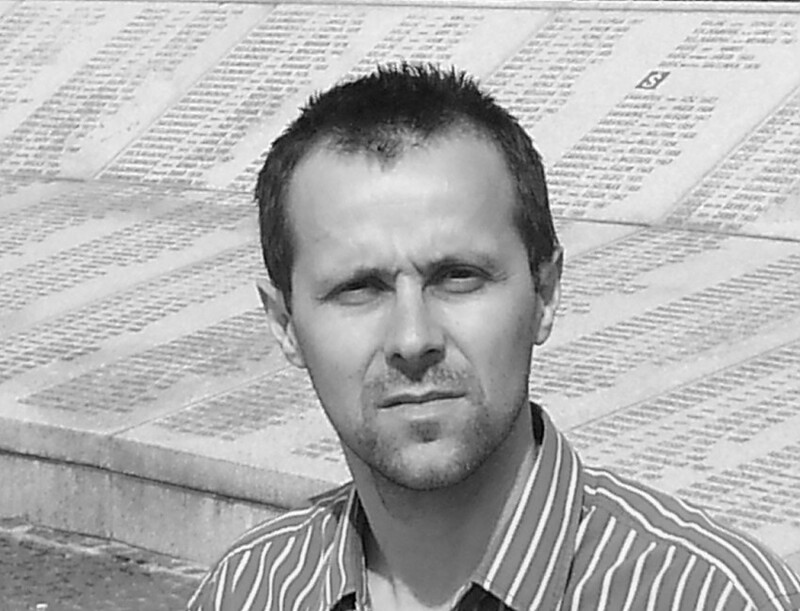 Nedžad is one of a small group of genocide survivors that returned to Srebrenica. In 1993, a UNSC resolution established the International Criminal Tribunal for the former Yugoslavia (ICTY) in order to hold the perpetrators of the atrocities to account. Between 1993 and 2017, 90 individuals were sentenced, including former Bosnian Serb President Radovan Karadžić. However, despite the post-conflict justice efforts, Nedžad says that ethnic Bosnians continue to be marginalised and that denial of the genocide is widespread amongst local politicians. For example, Mladen Grujičić, the current mayor of Srebrenica, has stated that he does not believe that the massacres of Bosniaks that took place in Srebrenica were a genocide. Learn about the Genocide in Bosnia. Read more life stories of those affected by genocide.